Whether you are building from the ground up or renovating an existing building, Mitsubishi Electric Cooling & Heating provides you with the solutions that effectively and efficiently perfect the comfort of indoor environments. 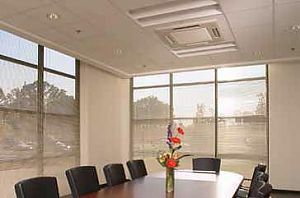 Mitsubishi Electric's VRF zoning solutions are designed to give you unprecedented control over all of the zones in an office building. With innovative INVERTER and expansion-valve technology, Mitsubishi Electric Cooling & Heating systems consistently perform at 25 percent higher efficiency than traditional systems. Mitsubishi Electric Cooling & Heating systems have been thoughtfully designed to minimize disruption to your interior and exterior environments. Gives you the ability to bill out for HVAC electricity consumption per tenant rather than resorting to approximate usage. You can also tally electrical usage per system or per indoor unit, depending on how your building and systems are configured. 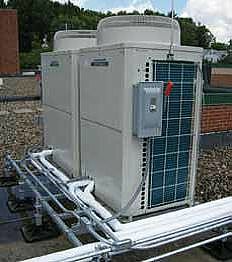 Mitsubishi Electric Cooling & Heating systems have been designed to simplify everything from design to installation, integration, management and maintenance. The CITY MULTI line is designed to seamlessly integrate with other building controls via LonWorks or BACnet® for collective control of all building systems.